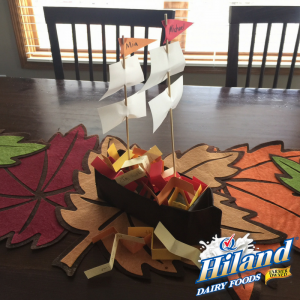 This super-cute Mayflower ship will have your kids thinking of what they’re truly thankful for before turkey day. Let’s get started! Rinse carton with warm, soapy water. Allow to dry completely. Using scissors, cut off one side of the carton, leaving a rectangle-shaped opening. Spray paint the entire milk carton brown. Allow to dry completely. 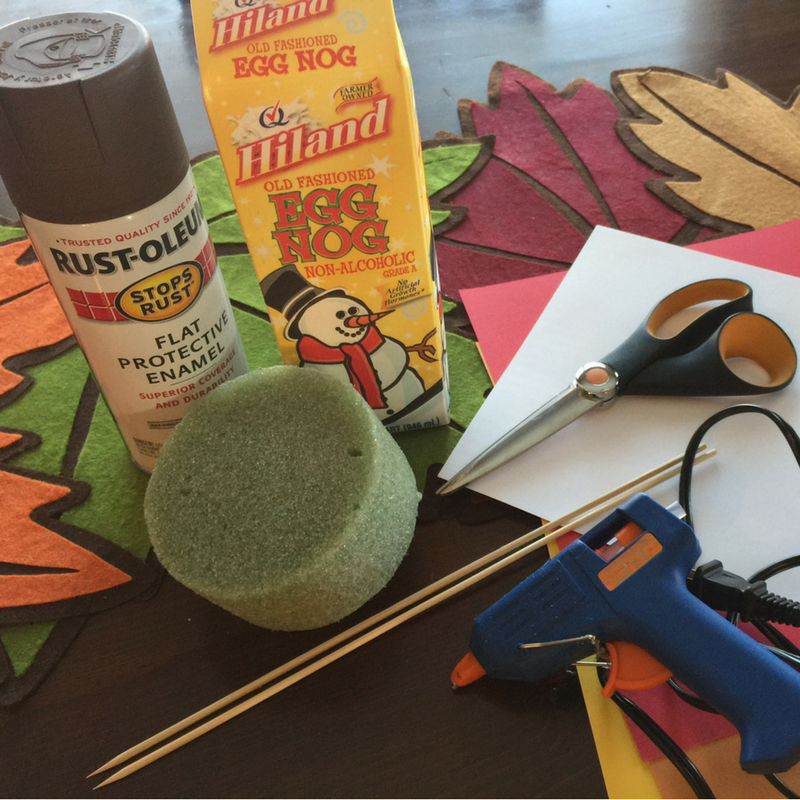 While spray paint is drying, cut strips of fall-colored construction paper, about 5 inches long and a half inch wide. 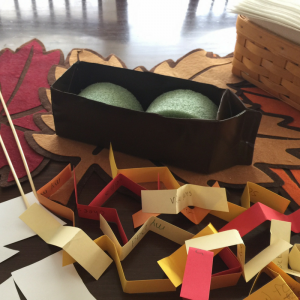 Have your kids write things they are thankful for on each strip of construction paper. Fold each strip of construction paper three times, creating a zigzag shape. Cut the craft foam in half. Using glue gun, glue each half circle of craft foam to the inside bottom of the carton. Allow to dry completely. Cut four sail shapes out of the white construction paper. Slip the sails through the wooden skewers. 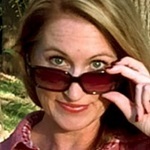 Tip: You may need to use a little glue to keep them from sliding down the skewers. Fill the rest of the Mayflower with the folded “thankful” strips. Tip: Pull out a “thankful” strip to read with the family each day leading up to Thanksgiving. 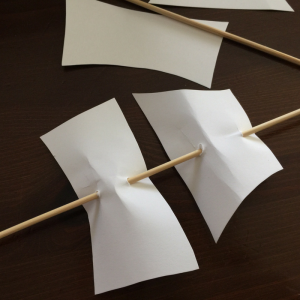 You can make pennants for the top of each sail and write your kids’ names on them. 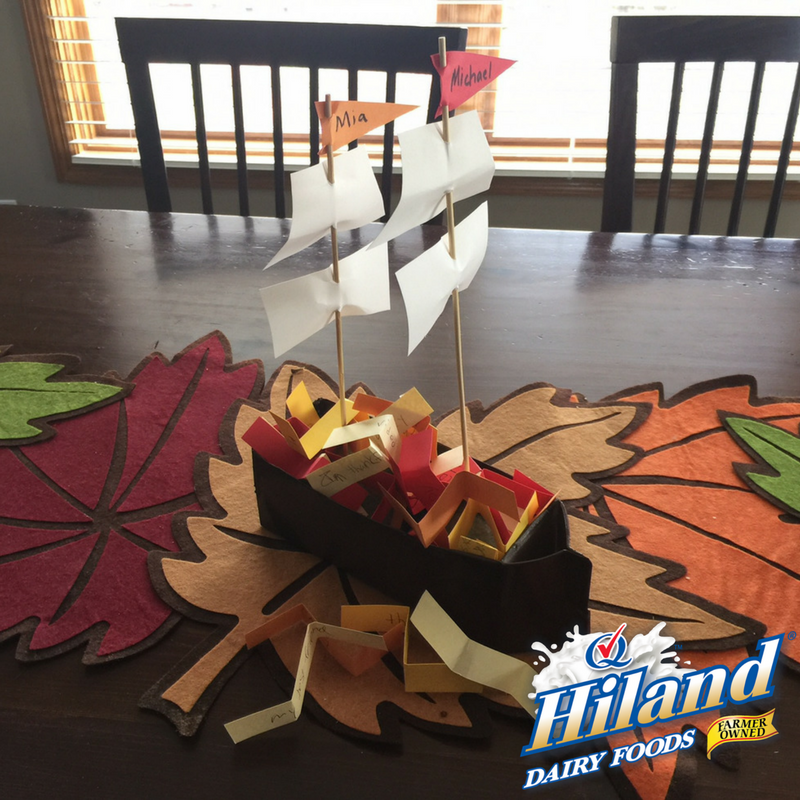 Also, don’t forget to print Hiland Dairy’s online coupons for your holiday baking ingredients, like Hiland Dairy Butter and Sour Cream!